I make my wine in La Gare du Vin, the old train shed in the village of Tuchan. It’s a special place and it inspired me to create a small, rather exclusive wine club. If you’d like to join me on a journey through my wines get your tickets here! Membership is annual and includes 12 bottles of the finest and rarest Domaine Jones wines. Membership entitles you to a whole lot of other goodies too! 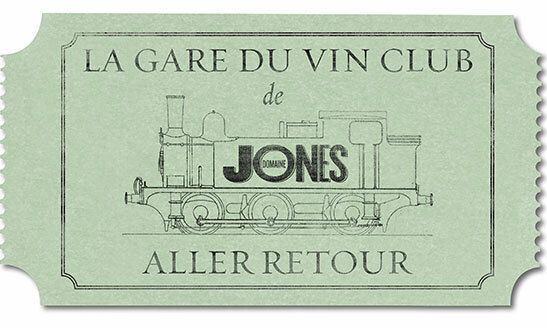 All aboard the Domaine Jones Wine Club!